I guess it’s safe to say that the owner of the building REALLY likes steel structures; might have to so with its high resiliency, performance under difficult conditions, and quick assembly . 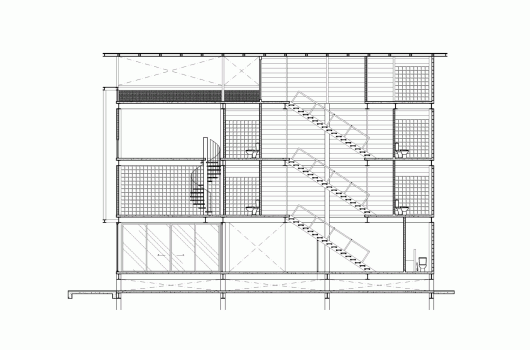 Anyway, the ‘Tin Man’ building showcases a simple and straightforward — yet still distinctive — design using structural steel as the primary material. Interestingly, the use of structural steel also reflects the construction process’ flexibility and represent the quality of the ‘Truth to materials’ architectural design process. 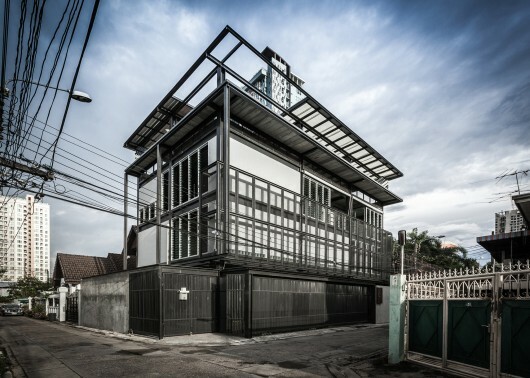 Located in the heart of Bangkok — where there’s a concern with the limitations of land use — ‘Tin Man’ is a 3-story house designed to save as much space as possible under the 6 meter-span of structural steel. The owner of the house is a fan of the Tinman character from L. Frank Baum’s classic book, ‘The Wizard of Oz,’ in which the Tinman is a representation of one being with a humble, honest heart. Another concern for the house was its West-facing wall, since West-facing buildings are problematic in regards of external radiation temperature and internal temperature loss. In cases as these, the option of creating insulation applies, so the home’s West facade contains a double wall spanning floor to roof. On the interior, a large bookshelf was installed and attached to the West-facing wall on the second floor to both insulate and create the personal space for the owner (as well as storing the owners large collection of books). For the purpose of ventilation, louver windows with minimal and elegant detailing were installed and are visually consistent with the home’s primarily structural steel frame aesthetic look and allows more ventilating space for the Tin Man house. 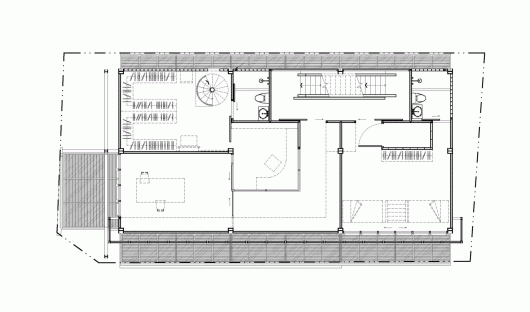 The ground floor level provides parking as well as the living area, dining area, and kitchen. The open floor plan is suitable for the resident to arrange the space planning. The staircase takes on the important role of providing vertical connection of the house by linking all 600 square meter-usage area together, allowing the users to know and be aware of all the activities happening in the house. The skylight’s location in relation to the staircase allows natural day-lighting and helps accentuate the linkage in regards to the vertical space connection. 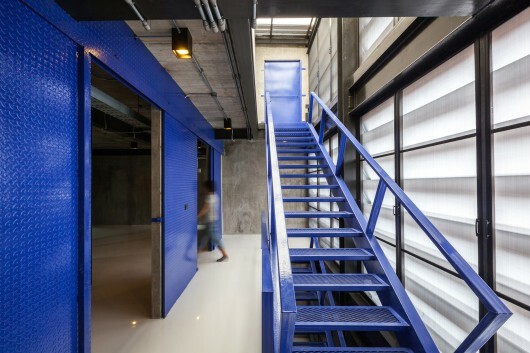 The architects placed a working space and closet on the second floor, with a library located in a double space that connects the second and third floors together. A spiral staircase acts as circulation and the main method to access the third floor bedroom, while on the third floor exists a spider web-like net that the owner can use to rest and relax while feeling like he lives in the air. On the rooftop, there exists enough space to provide the scene of Bangkok cityscape, as well as a relaxing area with a vertical garden and space for any future expansion.